Beat summer boredom with a few fun and easy DIY projects for teens. With a few craft supplies found around the house, you’ll (hopefully) stop hearing the words “I’m bored” every two seconds. 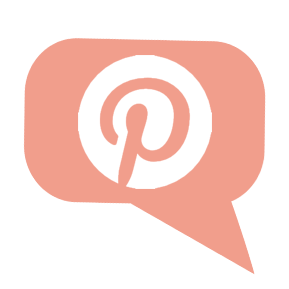 Comment below and tell me which of these DIY projects for teens was your favorite! You can’t get your homework done if you don’t have a track pad down to make it happen! 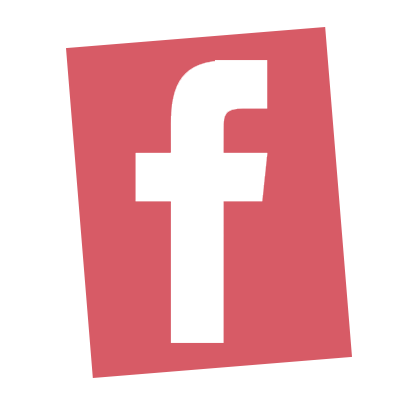 Create your own with this tutorial. 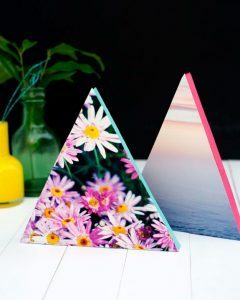 Paint over scrap pieces of wood (cut like triangles, of course) and cut out your favorite photos (these came from a magazine) to create tranquil wall art. 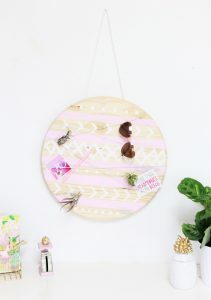 Speaking of wall art, this gorgeous wall hanging could take a few days if you are hoping to stretch out the craft! I made my own journal similar to this during Girl Scouts once, and it’s been my favorite to go back as an adult and read it. Ah, the way young minds think! 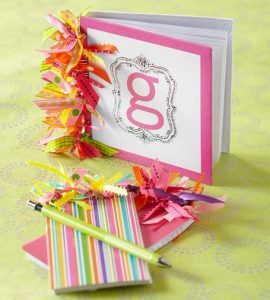 Simply tie ribbon around the spiral to customize your journal. 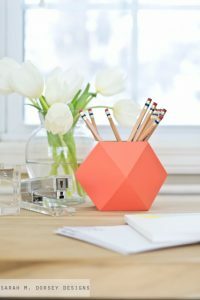 Keep desks organized and clutter free with this easier-than-it-looks pencil holder project. Paint Dollar Store containers to get this look. Take the “spinny” part off of a lazy susan and decorate it to your hearts content. The pink are ribbons tied to give it that layered look. Use white air dry clay for an all-day craft that the kids will love. 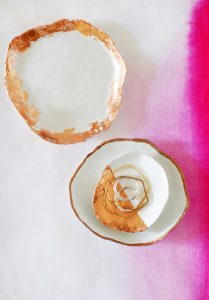 Use Copper Leaf (Amazon) for the accents and make sure you use a sealant of sorts to finish things off! 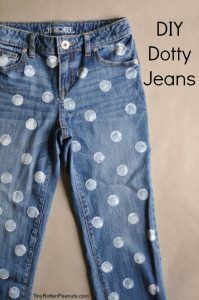 Dress up a pair of jeans that have seen better days with this fast and adorable polka dot method. 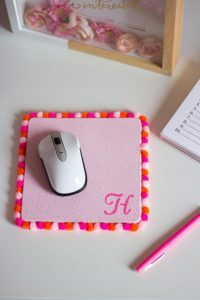 Use a craft foam pouncer for the even dots! I’ve always held firm that a little Washi tape goes a long way! 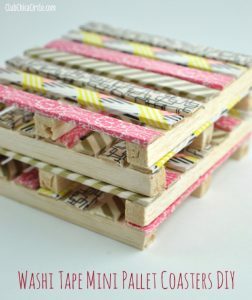 Start things off with wood craft sticks glued together to resemble pallets. My kids love to read books during the summer, and I love taking them along to the library! 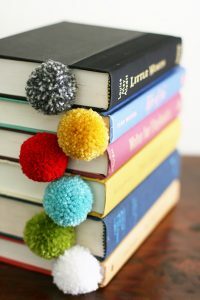 I’ve always believed that every library book (or book, even) deserves a cute marker that will leave pages crease free. 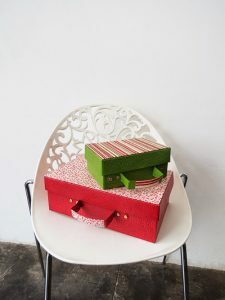 These suitcases were shoeboxes, but by the looks of this, you would never be able to tell! You can’t forget the handle! With necklaces like these you’ll feel like you just got home from a tropical vacations. 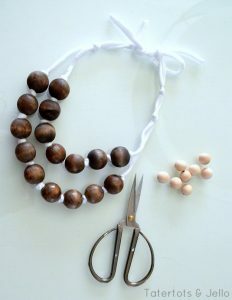 Pick up wooden beads at your local craft store and string them through ribbon for an easy craft for teenagers. 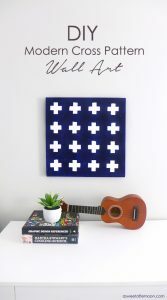 Blue Cross Wall Art…Bad link…does any one have the original? Comment below, please!